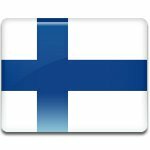 National Veterans' Day is an official remembrance day in Finland that honors all the war veterans. Is not an official flag day, but the Finnish flag is still flown on the occasion. National Veterans' Day is observed on April 27 because on this day in 1945 World War II ended in Finland. During the Second World War, three military conflicts took place on Finnish territory: the Winter War between Finland and the Soviet Union, the Continuation War between Finland alongside with the Axis Powers and the Soviet Union, and the Lapland War between Finland and Germany. According to the Moscow Armistice that ended the Continuation War, Finland was obliged to drive German troops from its territory by September 15, 1944. However, this was technically impossible. Germany executed Operation Tanne Ost, and Finland responded with the Battle of Tornio. Thus the Lapland War began. The war officially ended on April 27, 1945 when the Germans retreated to Norway. Although it is in fact a victory day, it is customary observed as a remembrance day. The first National Veterans' Day was held in 1987. Typical events include wreath-laying ceremonies and honorary guards on the tombs of war heroes, as well as church services.